This September we where invited to participated in Complimenta III. The Festival was situated in Mensa, an enormous 30 acre property of woodland, wetland and a pond not far from the city of Ithaca, NY. This wonderfully enchanted forest was occupied by artists from different disciplines, all gathered from across the US for a weekend of creative endeavors in nature. Naturally we chose to respond to this environment, we started Natural Causes a series of images, videos and performances that will look at the state of out relationship to nature. 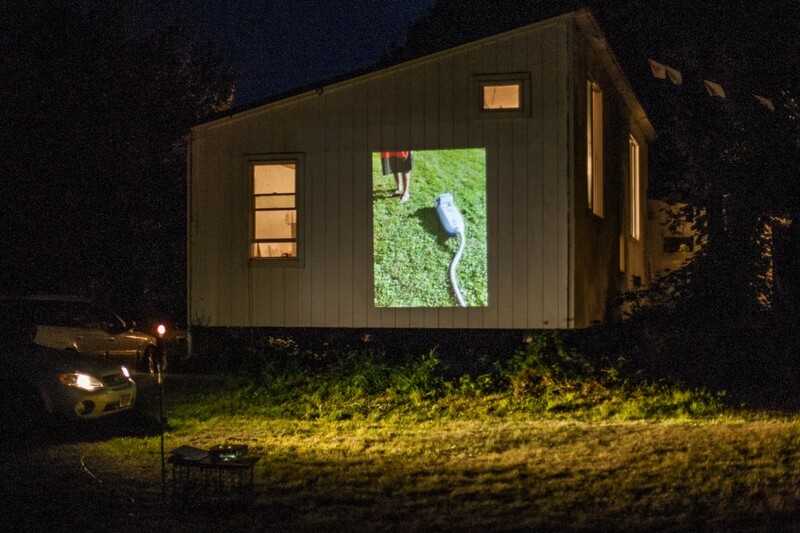 The results where projected on the side of the main residence building. Our thanks to the wonderfully dedicated team of Complimenta that organized and facilitated this event.